Have you ever thought about what you eat each and every day? Or have you ever had to? 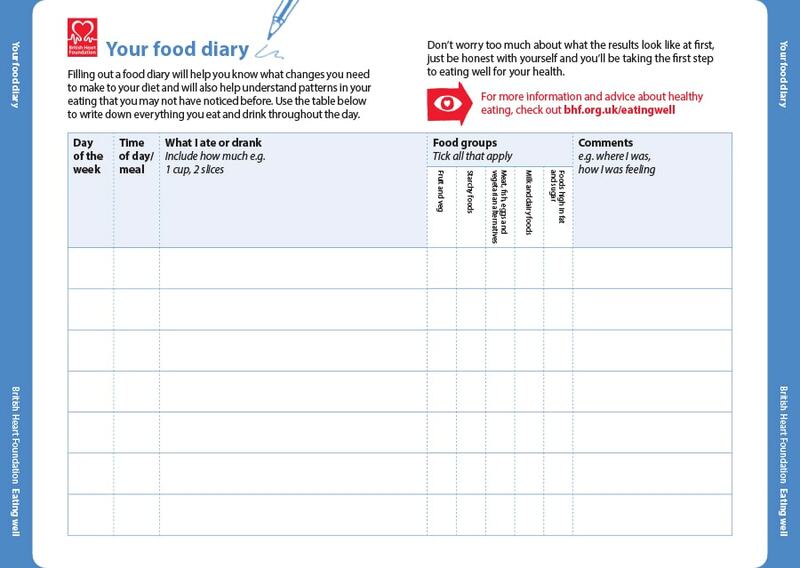 Food diaries and food journals would be very helpful if you’d like to start tracking down what you are eating along with all the calories that go with what you are eating. 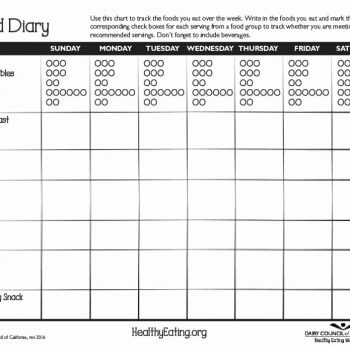 Basically, a food diary is a record of what you eat each and every day. 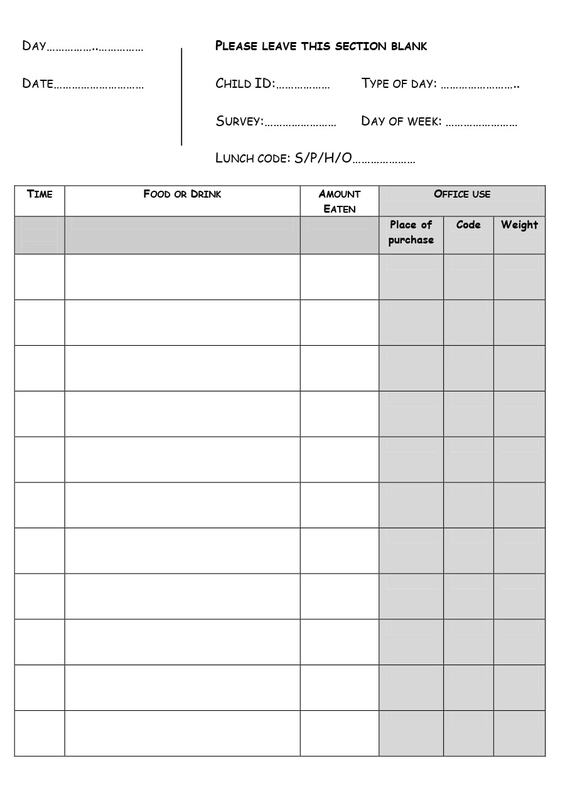 Keeping track of what you are eating would guide you if in case you’d like to tweak your diet to be able to lose weight. 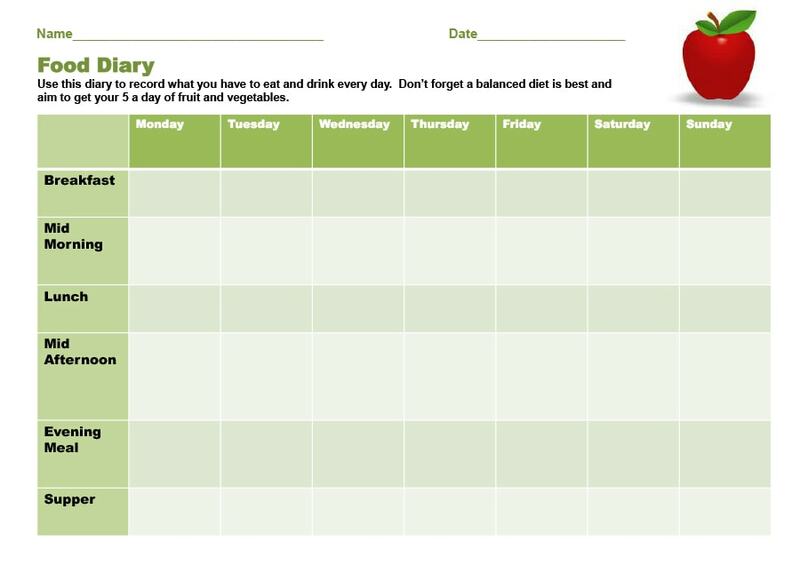 Keeping track of what you are eating and drinking can help you improve your health by understanding you’re eating habits. 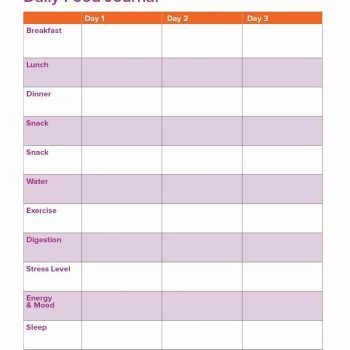 Making something concrete such as a food journal template or a food diary template would help you stick to your diet if you’ve started a diet plan. 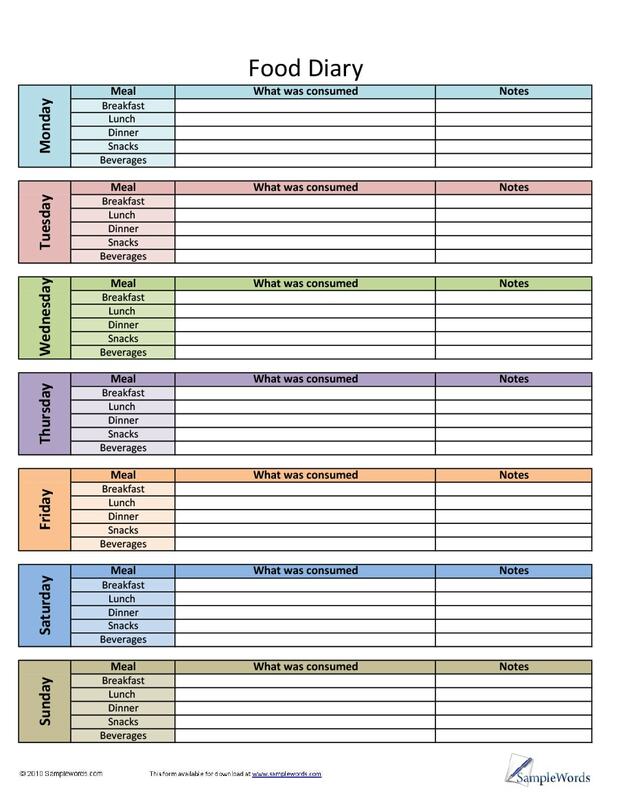 Recording your food and drink intake in a weekly food diary template would encourage you to actually stick to it until you’ve achieved the results you want. 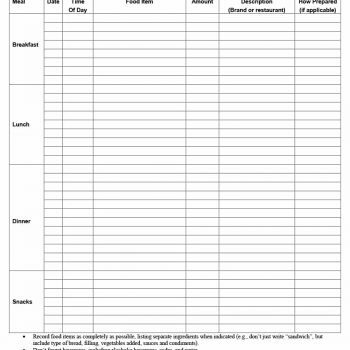 Having a food log template wherein you would be planning your meals would be one of the healthiest things you can do which can change your life for the better. 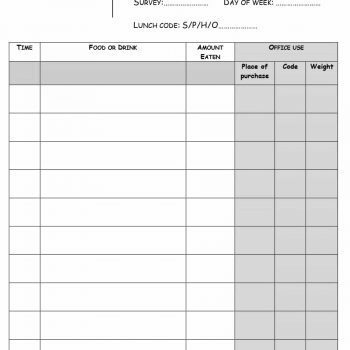 Usually, when a person makes and keeps a food diary, he/she also starts counting and recording the calories consumed during each meal. 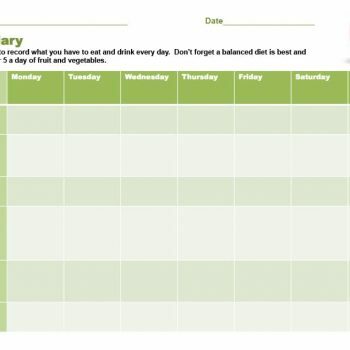 One of the most important reasons for making (and sticking to) a food diary is so that you can learn about the calories present in different food and beverages, and start controlling how much you consume. 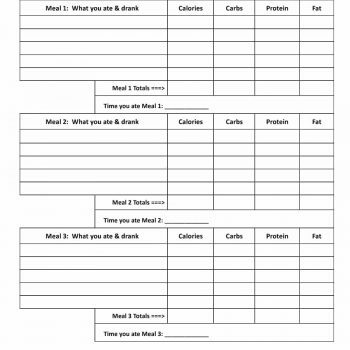 Of course at the beginning, it can be quite tedious to count calories but once you start learning how much calories different kinds of food contain – especially the ones you frequently eat, then it will be a lot easier for you to count your calories each and every meal. Calories aren’t just focused on the total amount of calories in a particular food or beverage but also the breakdown of the different nutrients – proteins, fats, carbohydrates and such, which are actually present in the food and drink. You’d have to know these so that you can find out what kinds of food have more protein or carbohydrates, according to what you need. 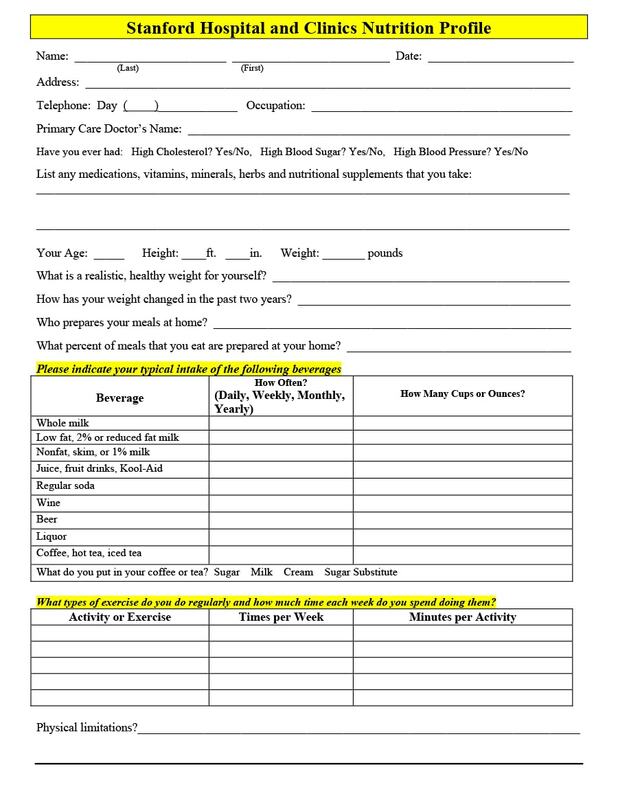 You would need to know this breakdown as each day you’d need to consume a certain amount of nutrients and calories so as not to sacrifice your health especially when you are dieting. 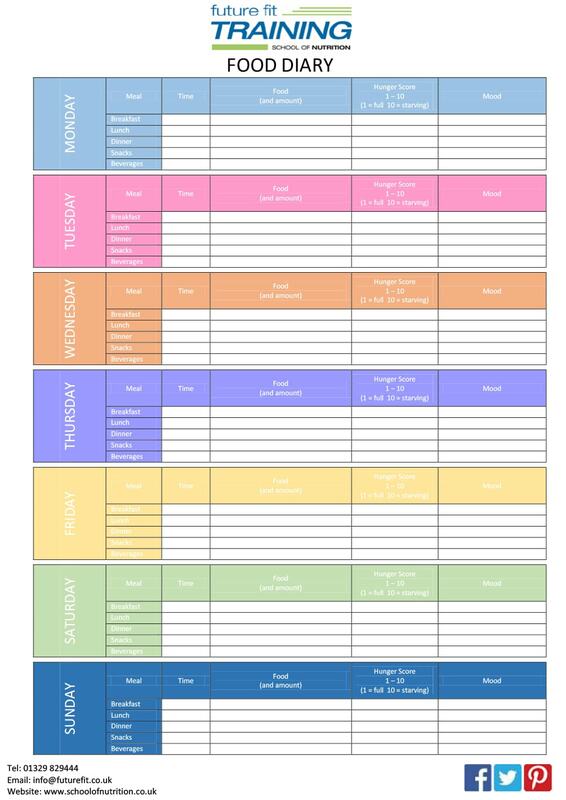 Once you’ve come to understand the different calories which are present in food and beverages as well as the breakdown of nutrients in them you can start planning out you meals and decide which food you can eat and how much you can consume at each meal. Portion control is just as important especially if you are trying to lose weight. 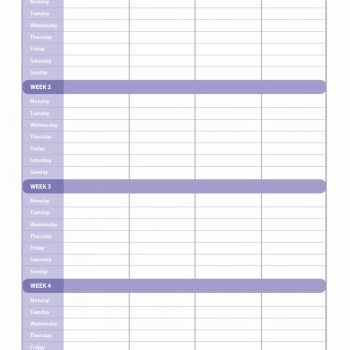 If you’d like to start living a healthier lifestyle, making a food journal template and sticking to it would help you out. 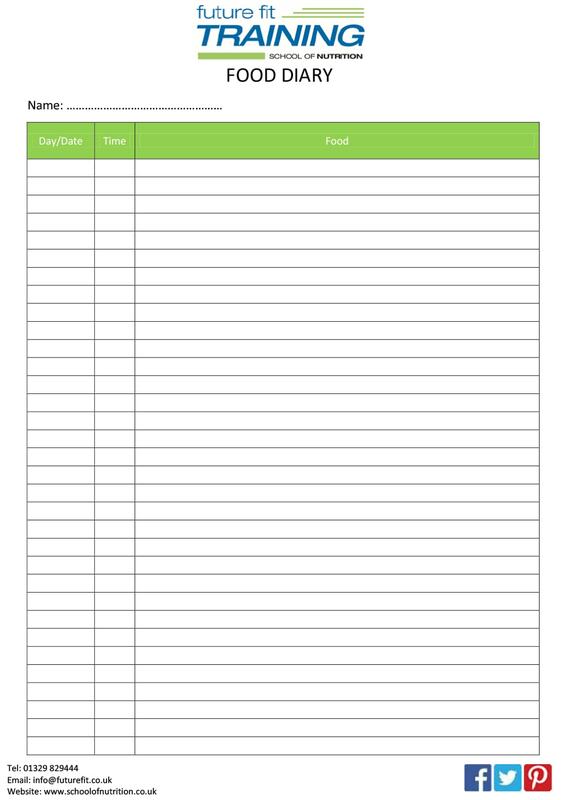 Whether you want to start living healthier or start losing weight, keeping a food log template would give you the opportunity to do so. You’d have a concrete record of that you have eaten and you would have the ability to make any changes to your diet however you wish. 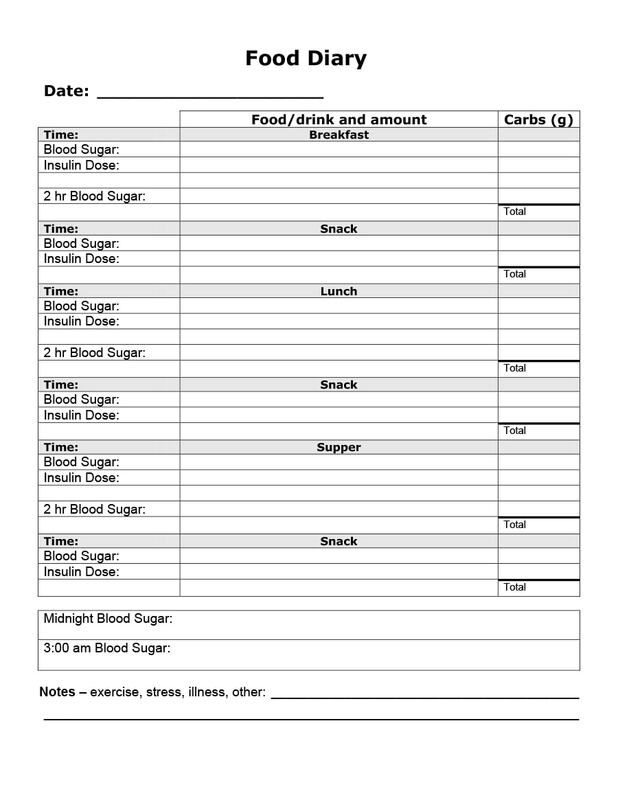 When you write down what you are eating for every meal, you would be able to pinpoint when you start binge eating and what food causes you to do so. You can then start avoiding the said food or only have it available when you are on a cheat day. 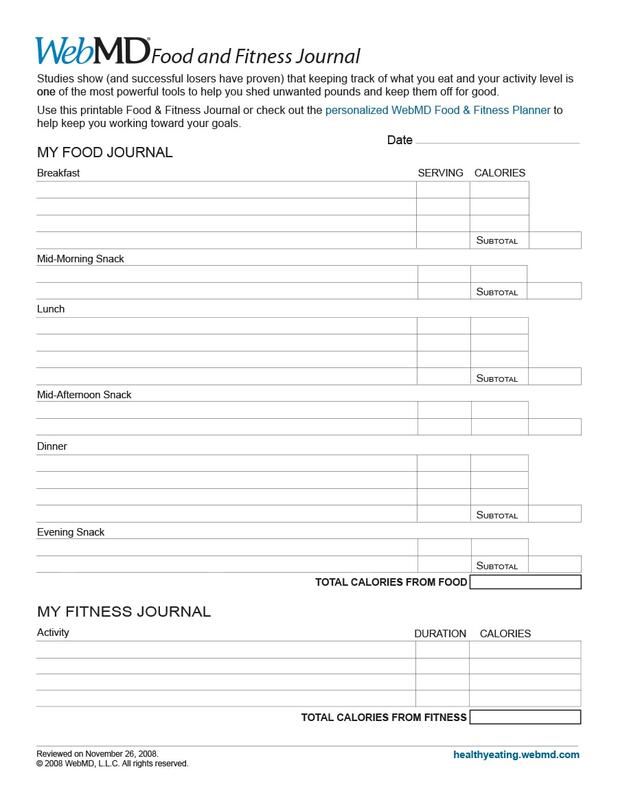 If you are pairing your food journal keeping with working out to lose weight, then all the information on it would allow you to see exactly how many calories you’ve consumed. 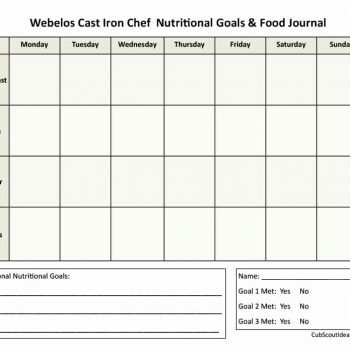 To be able to stay healthy, you would have to consume the right amounts of nutrients and calories each day and keeping a food diary would allow you to see if you have any deficits in a particular nutrients. Also, if you have eaten too much of a certain nutrient, then you would know how much you’d have to burn off in your next workout. 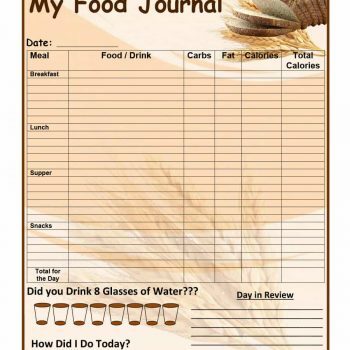 If for any reason, you’d have to consult with a nutritionist, then you’d have to start making a food journal anyway. 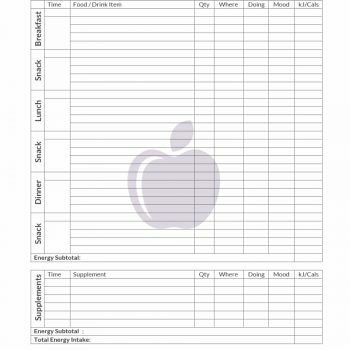 This is so that you can document all your eating habits, to be analyzed or used as reference by you or your nutritionist. This is one of the more practical reasons for making and keeping such a diary. 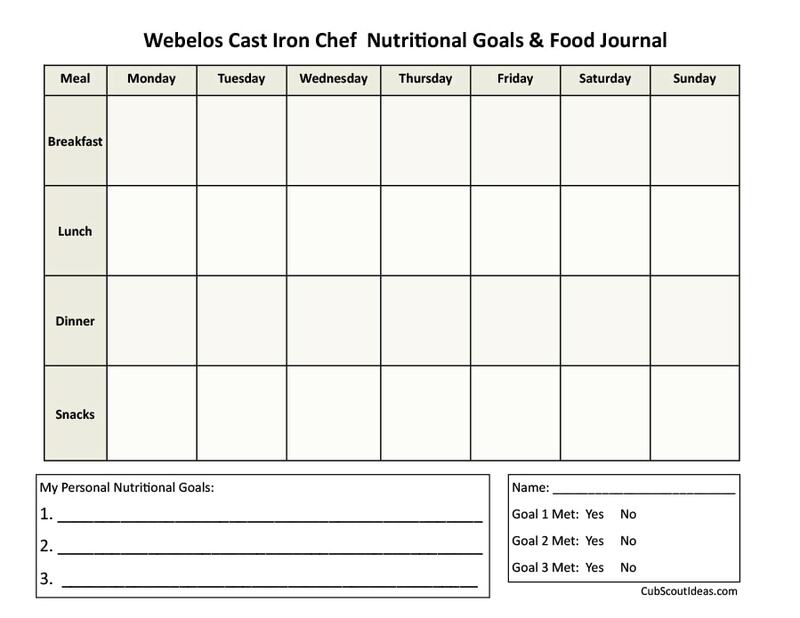 These reasons are all great, but it would also be helpful to learn about the different benefits of having your own food journal template to fill out. Read on to learn about the different benefits of keeping a food long template for your own convenience. Now that you know the different reasons for starting a journal, let’s take a look at the benefits of not only making one but actually sticking to it. 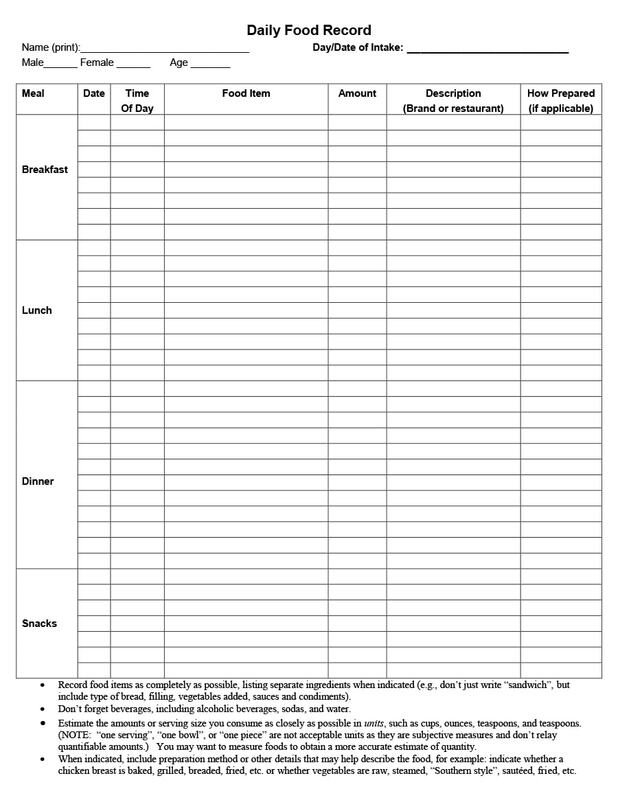 These benefits may convince you to start creating a food diary template for you to fill out and start keeping track of everything you eat along with all your eating habits. 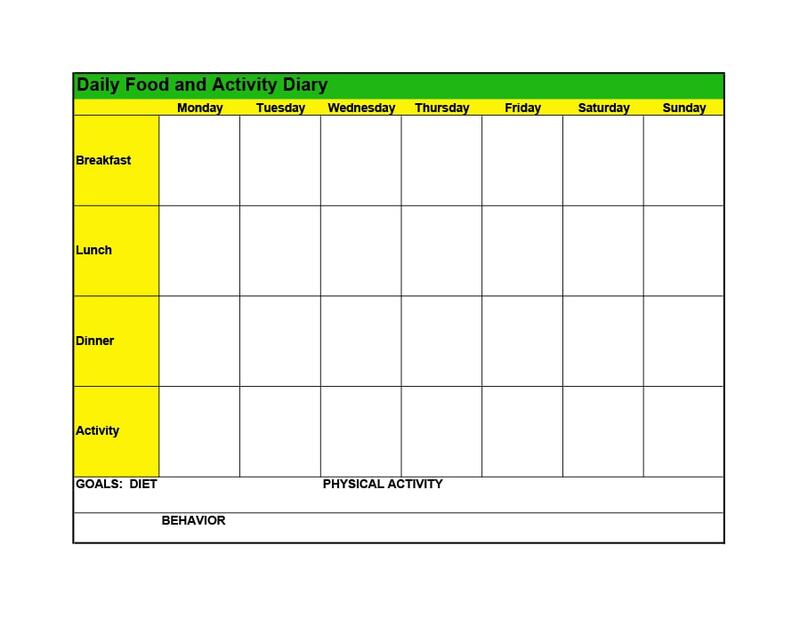 Documenting and keeping track of everything you eat along with your feelings and physical activities would make you responsible for your own diet. 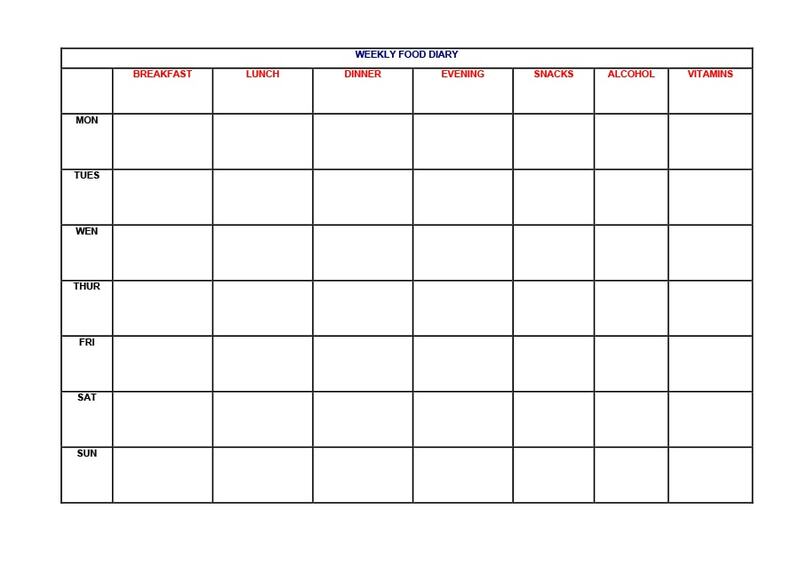 Having a food diary template to fill out would make you accountable for your own actions and everything you place in your body. You make all the decisions on what you eat and drink at every meal. 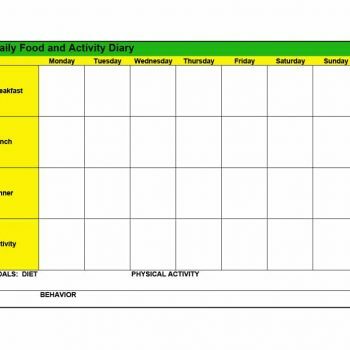 Keeping a diary of everything you eat and drink would allow you to see whatever unhealthy patterns you may have and would allow you to identify which you need to cut out of your diet. 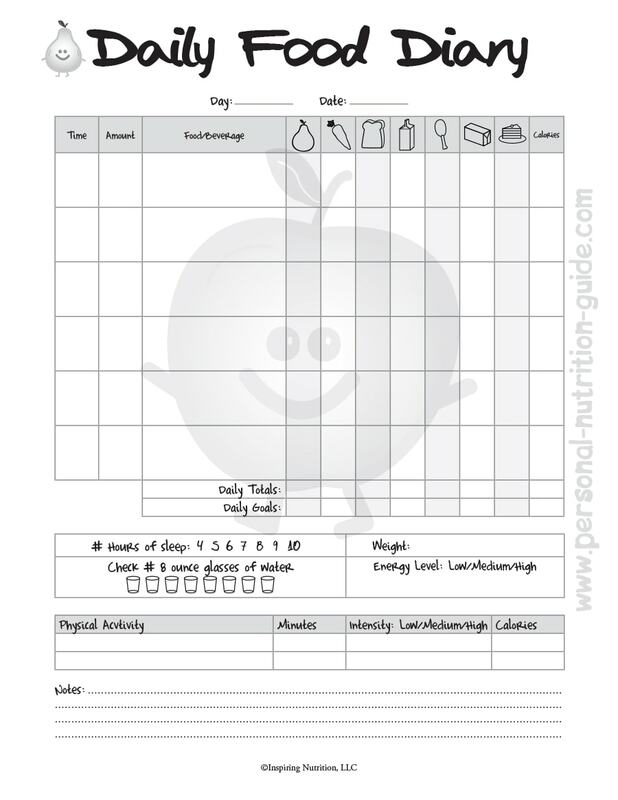 This would allow you to plan out healthier meals and stick to them as long as you are motivated to reach your goals. 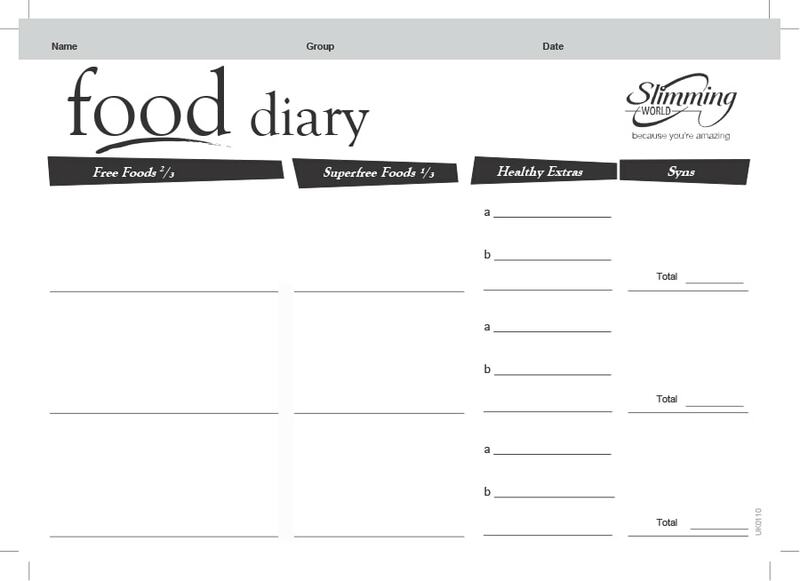 Being able to document everything you’ve eaten and actually being able to see what you’ve written by going through your diary will help you think about what you are putting in your body. When you are more conscious of what you are consuming, you would be more efficient in avoiding what you need to and adding on to what you are lacking. When you do this, you would be able to achieve your goals at a faster rate, thus making you a lot healthier. Since when you are keeping a diary, you won’t only be writing down the food, quantities, and calories, but you would also have to write down the feelings that go with it – both emotional and physical. 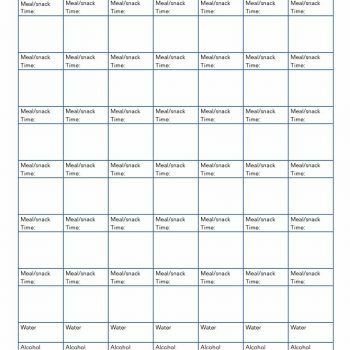 In doing this, you will be able to determine which food gives a negative effect to your body and which ones you tend to eat when you are under stress or are experiencing negative situations. 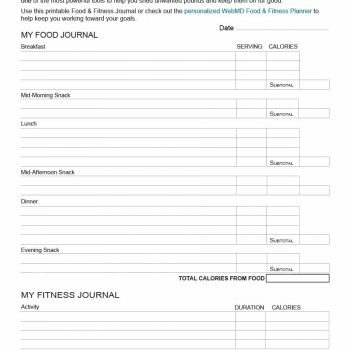 Studies have shown that people who make, keep and stick to a food journal are more likely to lose weight more efficiently. 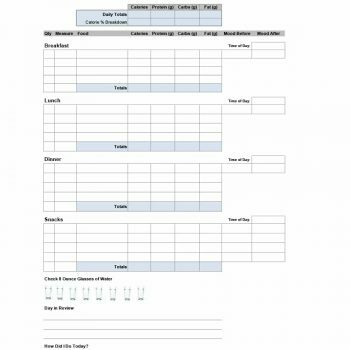 The reason for this is that since you would be accountable for what you are consuming and you write everything down, you would be able to keep track of everything and make adjustments whenever you need to. As long as you plan out your meals and stick to them, you’d be losing weight in no time. 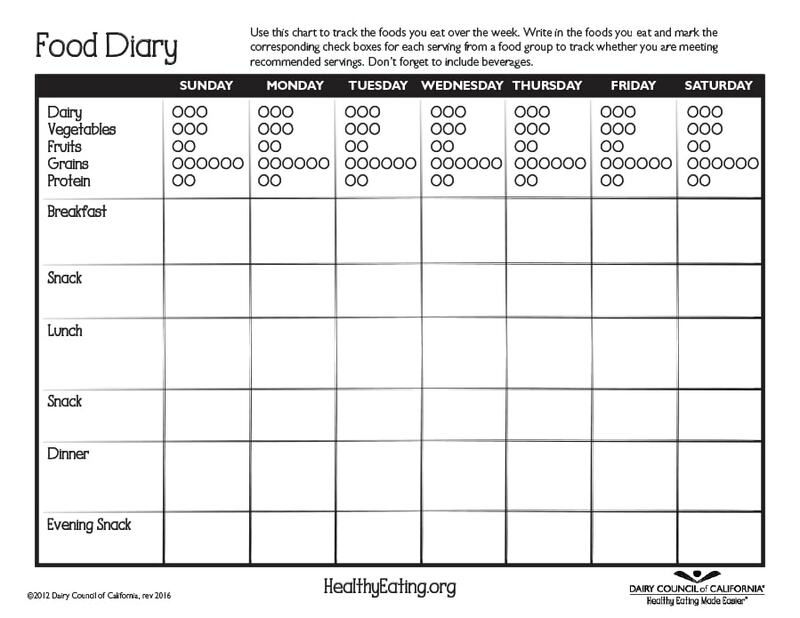 Having a food diary will allow you to take note of everything you are eating. When you can see what you are eating and you are planning out healthier options, you can start living that healthy lifestyle you’ve been trying to achieve thus far. 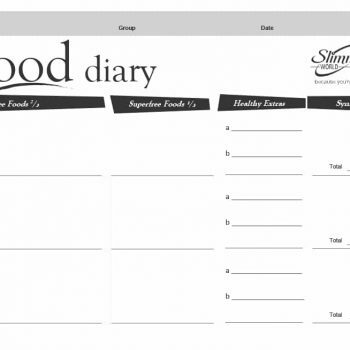 Something as simple as a food journal would give you an opportunity to start and maintain a healthy living lifestyle. 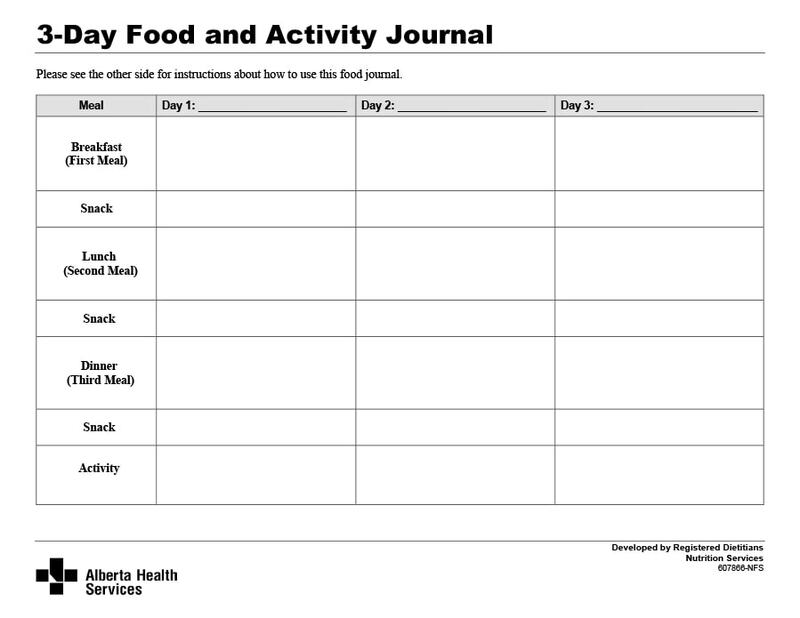 Keep your journal on an accessible area so that each time you reach for any type of food or beverage, you can grab your journal too and start making notes. 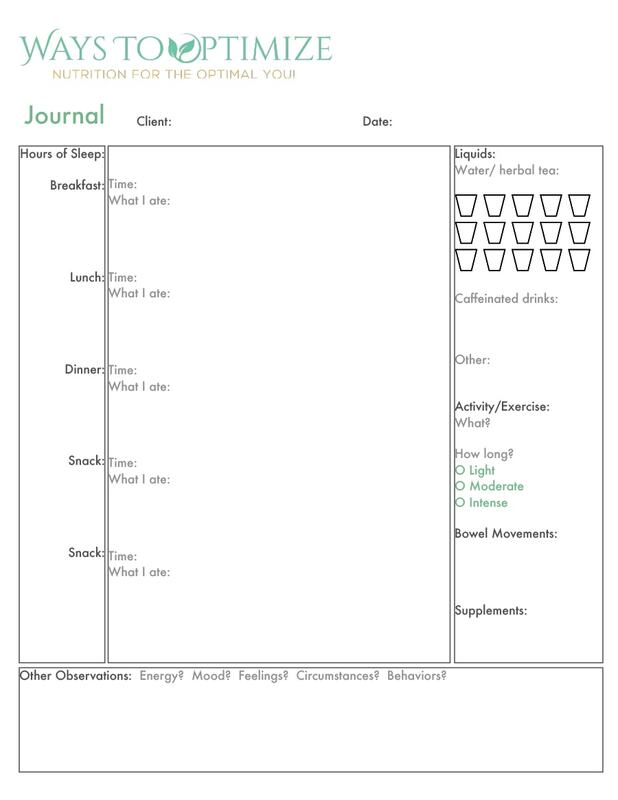 Also at the end of the day, you can keep it by your bed so that you can reflect on what you’ve eaten throughout the day as well as all the other notes you’ve written down. Make sure your journal is portable so you can bring it along even if you travel. Wherever you go, you have to bring your journal so you are able to keep track and record everything you’ve eaten. Be honest and try your best to stick to your plan. 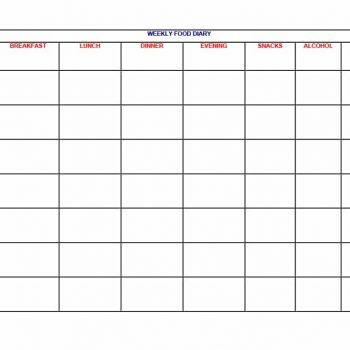 Knowing such great reasons, benefits and tips for making a sticking to a weekly food diary template, or any other kind of food journal is very helpful so now let’s take a look at some steps and tips in making and keeping your own food diary or food journal. 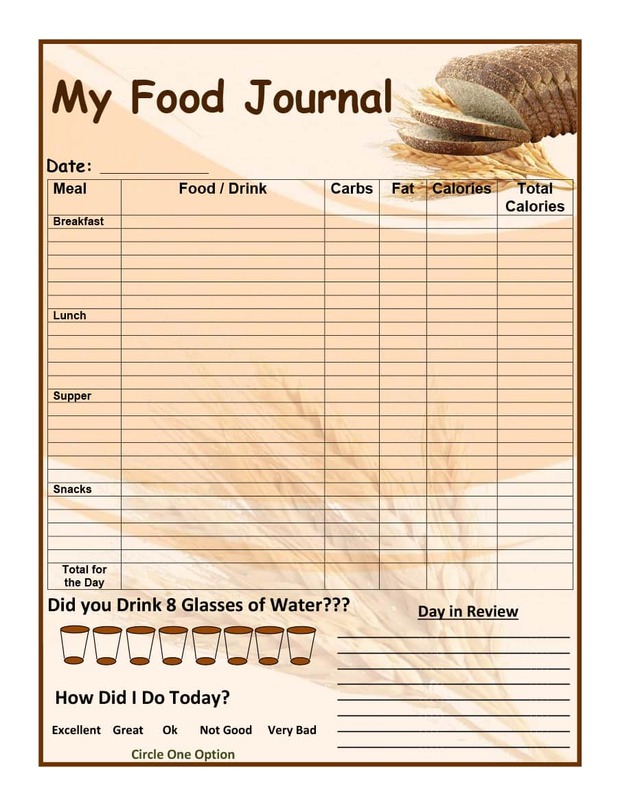 A food diary or food journal can be any notebook or organizer which you are sure you can fill up in an organized way. 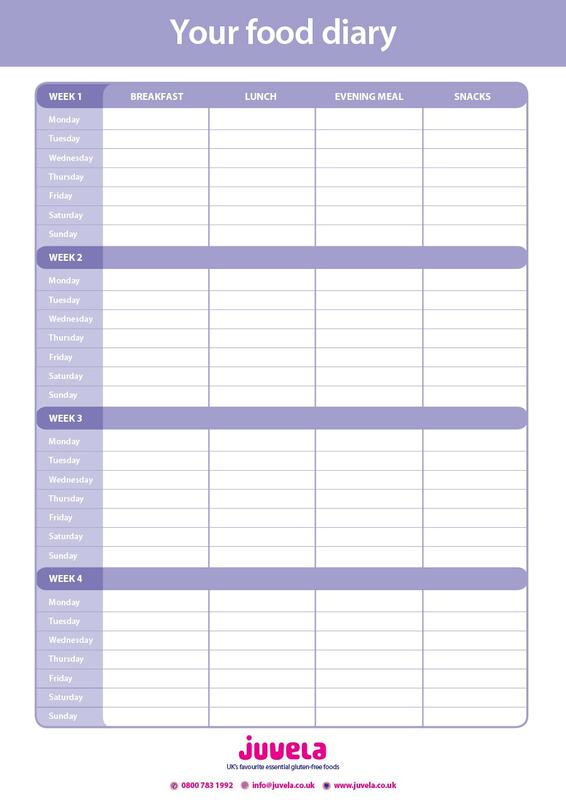 Start with an empty notebook or organizer which you know will encourage you to stick to your plan. You do this by decorating it however you wish to add an element of fun to your diary. 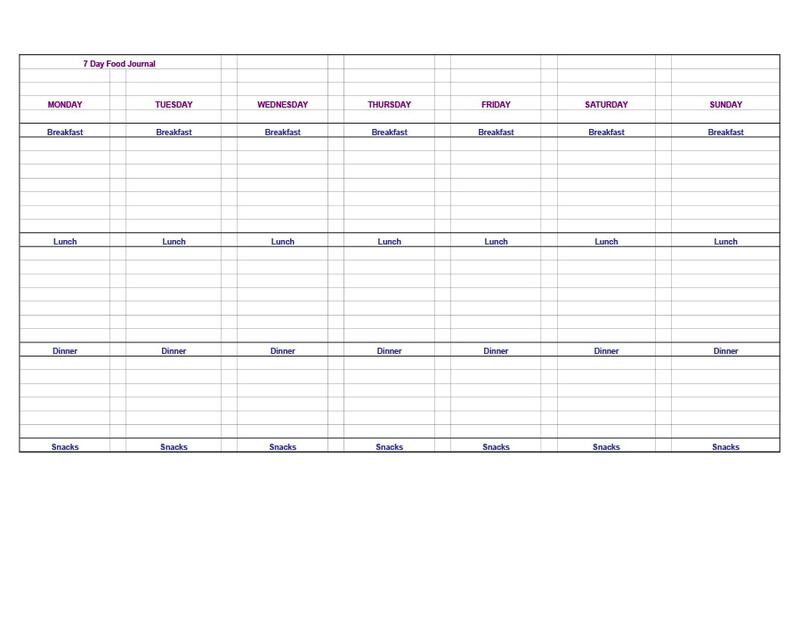 Once you’ve decorated and set-up your diary, you need to think of what you should be placing in it. 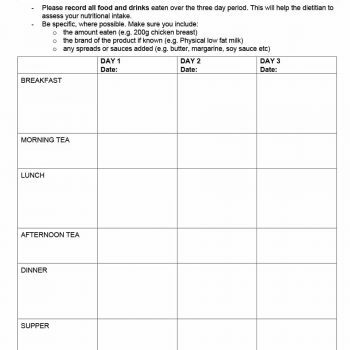 Typically, you’d have to include the date, time and place of your meal, food and drink consumed along with the quantity and other extra notes such as the calories in each of the food and drink items. 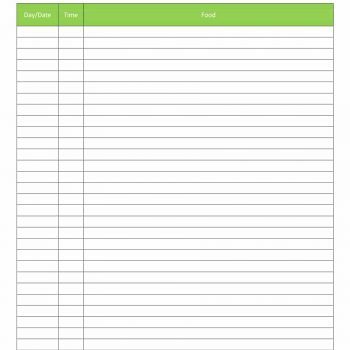 You can write all the information down or type it, print it and stick it on your diary. 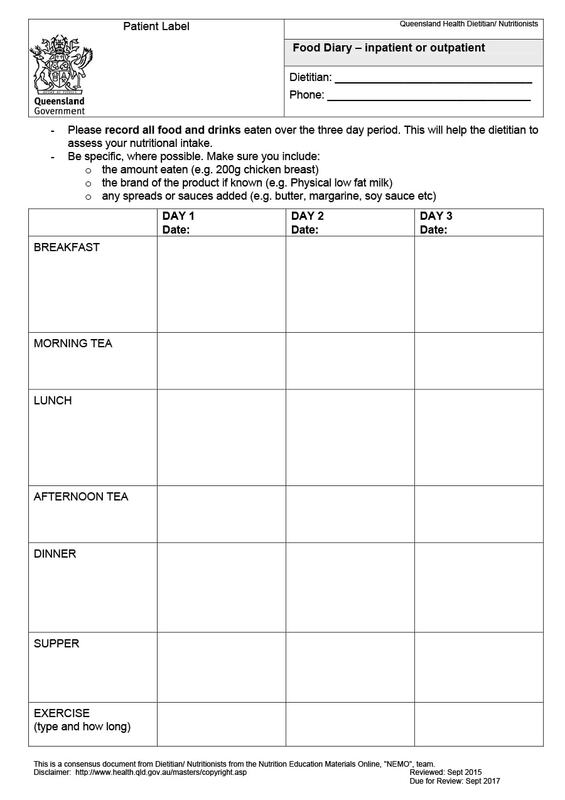 Make sure to record each and every thing you eat and drink at every meal. 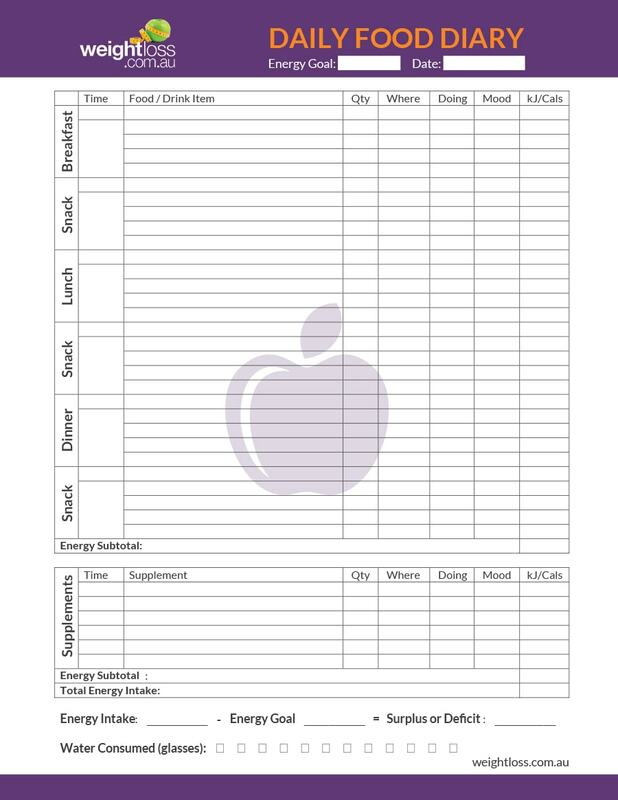 This would ensure that your diary is accurate so that when you would need to analyze your intake and your eating habits, you won’t be skipping on anything. Include even your snacks and anything you had nibbled on throughout the day. Also be sure to specify everything which went into your mouth, not just a general account of what you had eaten or drank. 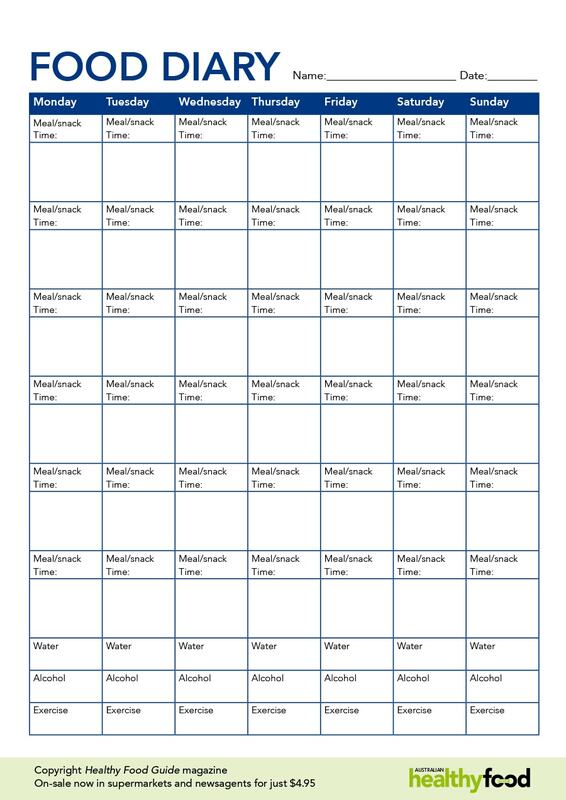 This would help you when you start counting your calories when the time comes. Aside from being specific with the kind of food and drink you are consuming, also be specific in writing the amounts. 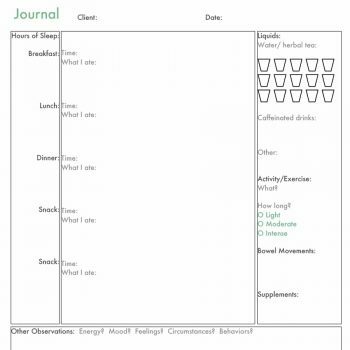 This would be very important in analyzing your eating habits and your food and drink intake. 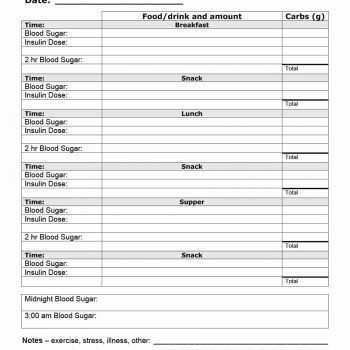 Doing this would allow you to see how much you are actually consuming and you can start adjusting from there. Each day you can make small changes whether your portions are too big or too small. 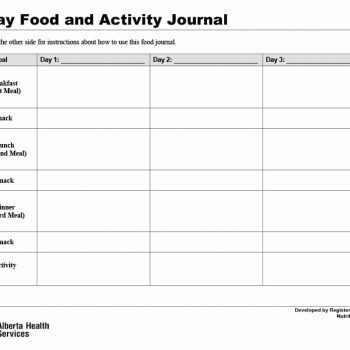 While creating a food journal, you must ensure to add the other essential points. 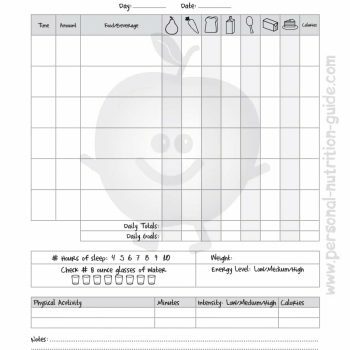 Keep on measuring the quantities you are eating each and every day and record all these in your journal. If you are eating out, then you would have to just make the most accurate measurements of the quantities you are eating. Aside from keeping track of what you are eating and how much you are eating, you would also have to learn about the amount of calories present in everything you eat and drink. 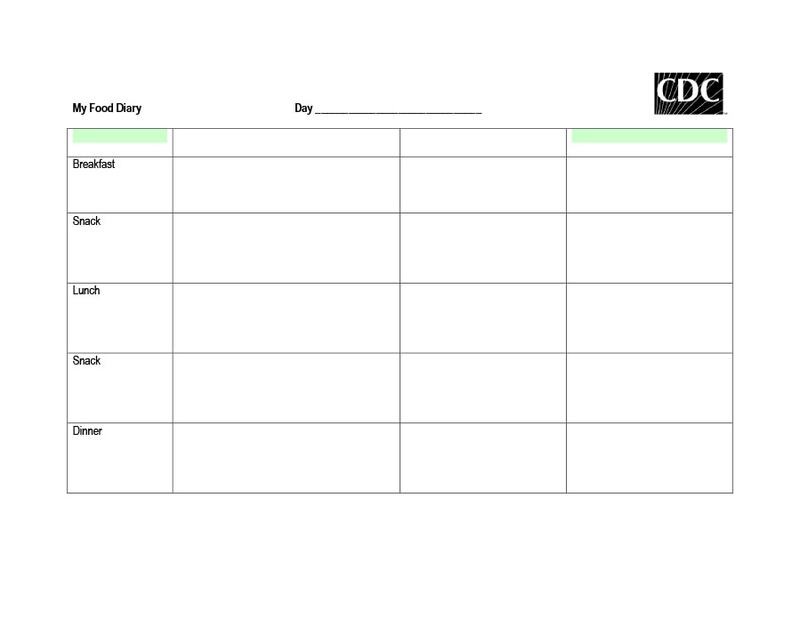 You’d have to write these down right next to the types of food to keep your information organized. You can find resources on the amount of calories present in each type of food online. 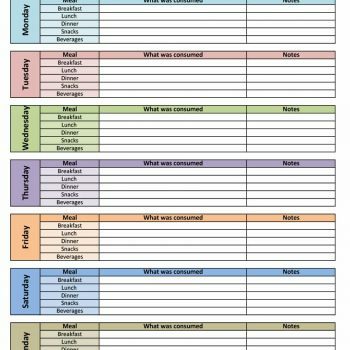 Print out these resources and use them as a guide for when you are filling in your diary. Again, you should start counting how many calories you consume each day then start adjusting as needed. If you are trying to lose or gain weight, you can start by decreasing the amount of calories you consume each day. Adding or subtracting about 500 calories each day would help you achieve about a 1-2 pound increase or decrease over time. 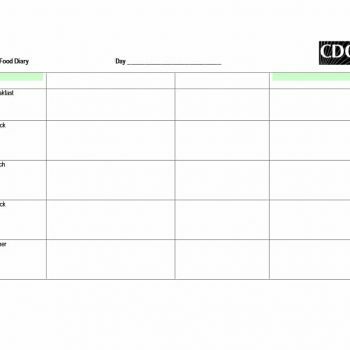 After you’ve recorded all the details about what you ate and how much you’ve eaten, you can then write down how you have felt after eating each and every food or beverage. 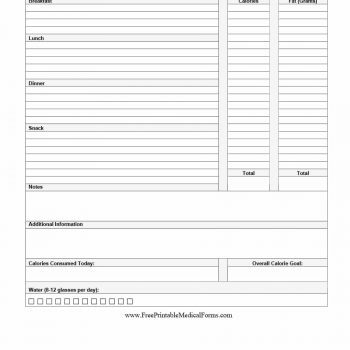 In order for your input to be much more effective, you can wait about 15-20 minutes after eating before writing down how you feel. 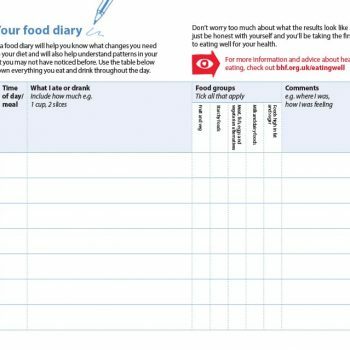 You can also try writing down how you feel before eating in order for you to be able to reflect on whether you have issues or concerns with emotional eating. 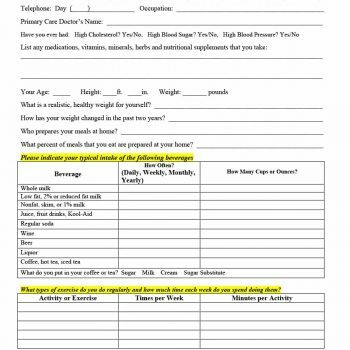 This would be helpful especially if you are trying to lose some weight. Also be sure to note how hungry you are prior to eating so that you know can see if your level of hunger affects how much you eat at each meal. Also be sure to include any side effects you may experience after eating so that you can pinpoint if there is any type of food which triggers an allergy or causes you to feel something different. 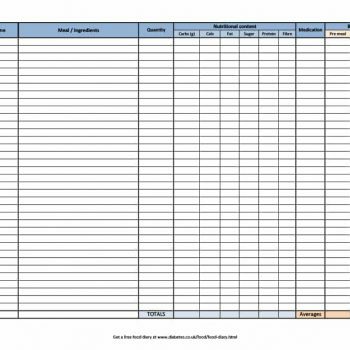 Now that you’ve made a record of everything you’ve eaten then it’s time to start analyzing the data in your food journal template or food log template. 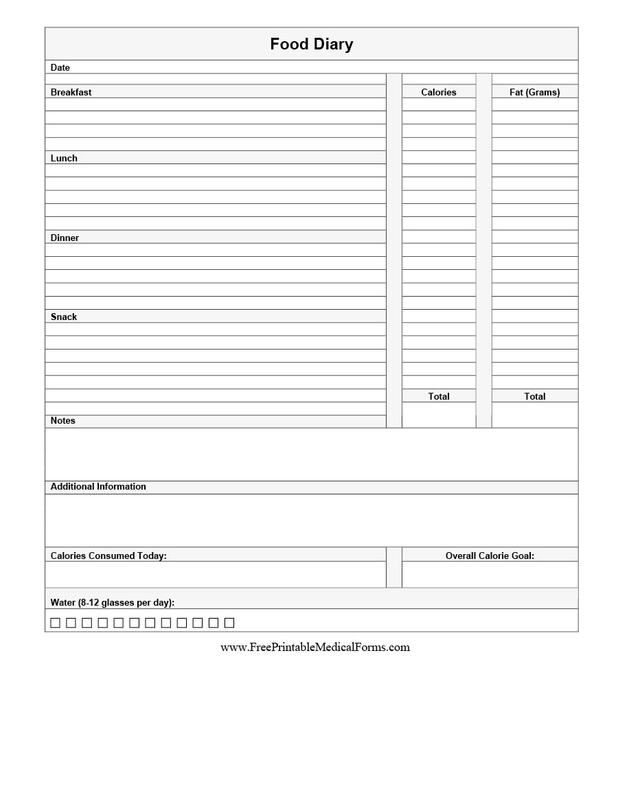 Start by looking at your eating patterns and eating habits by going through your notes. 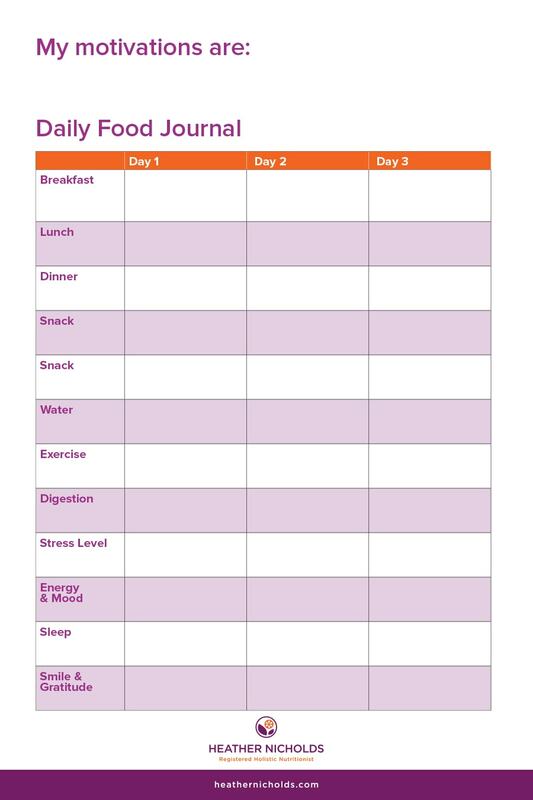 By doing this, you will be able to see more frequent eating patterns or eating habits which may enlighten you. 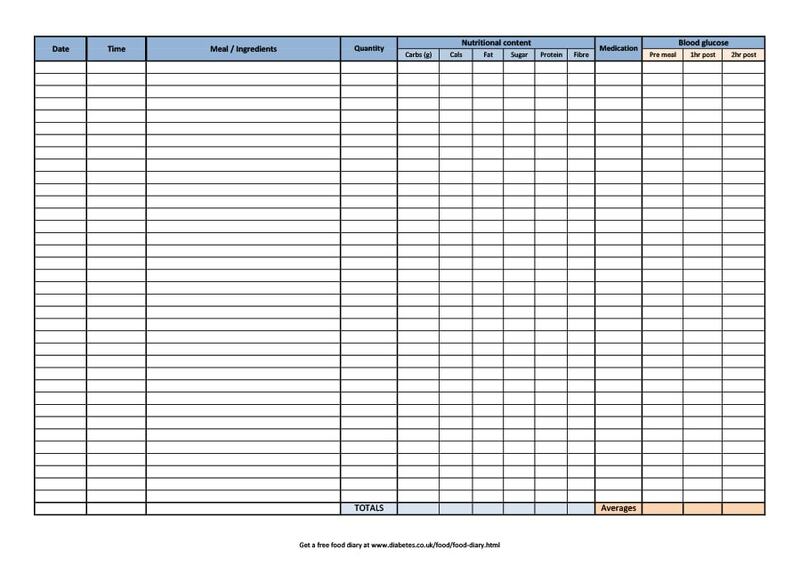 Make a note of how many snacks you eat aside from your daily meals and try to see whether you tend to go for healthy snacks or the less healthy options. Also try and analyze whether these snacks actually satisfy your hunger or not enough that you still end up eating after only a short period of time. 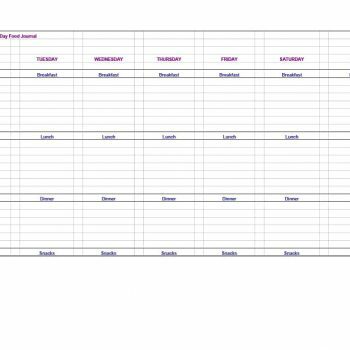 Keep a weekly food log template and compare what you are eating on weekdays and on weekends. This could vary a lot since you may have a lot more free time on the weekends, which make you eat more than you should. 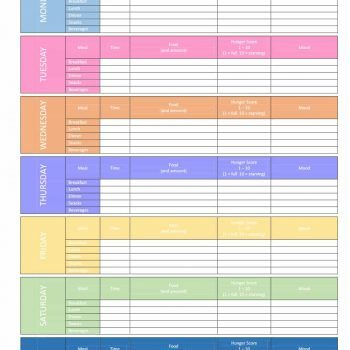 Here you can see how often you eat in and how often you takeout food, which can be very helpful information especially when you start to plan your meals. It would also be helpful to include any notes regarding any emotional connection you may have with food. This is when you can start to identify any kind of situations which may trigger your binge eating or eating certain unhealthy types and quantities of food. Also start looking at how different food or drinks affect your body so that you can avoid the kinds of food which have a negative effect on your body. Those which give you a feeling of being bloated, nauseated, gassy or way too full must be part of that food which you should avoid. In the end, aside from the food and feelings, you must also include any physical activity you pair with your diet. Take note of the kind of work out activities which you do each day so you can see how many calories you’ve burned through exercise. 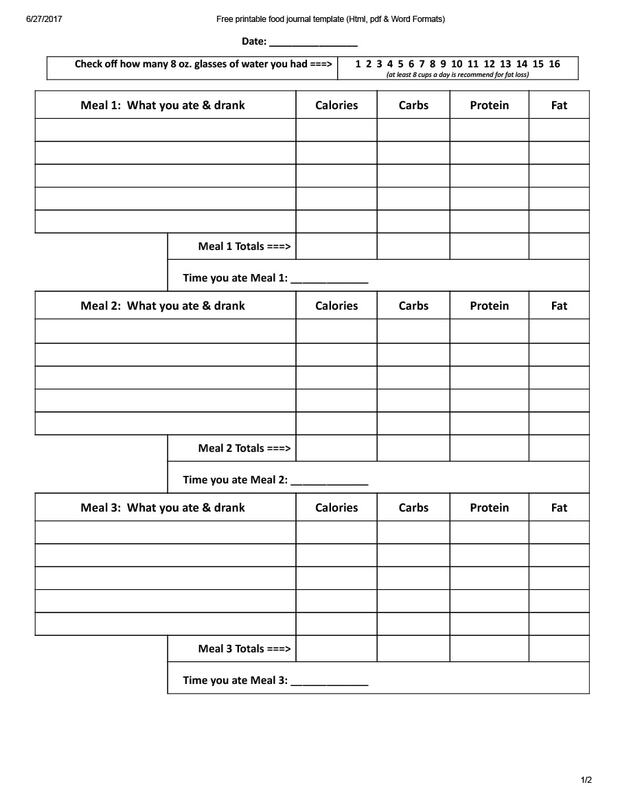 You may record all the nutritional information as well as your progress so you know how close you are to attaining the goals you’ve set at the beginning. Seeing how much and how fast you are progressing can actually motivate you further and help you attain what you want to. 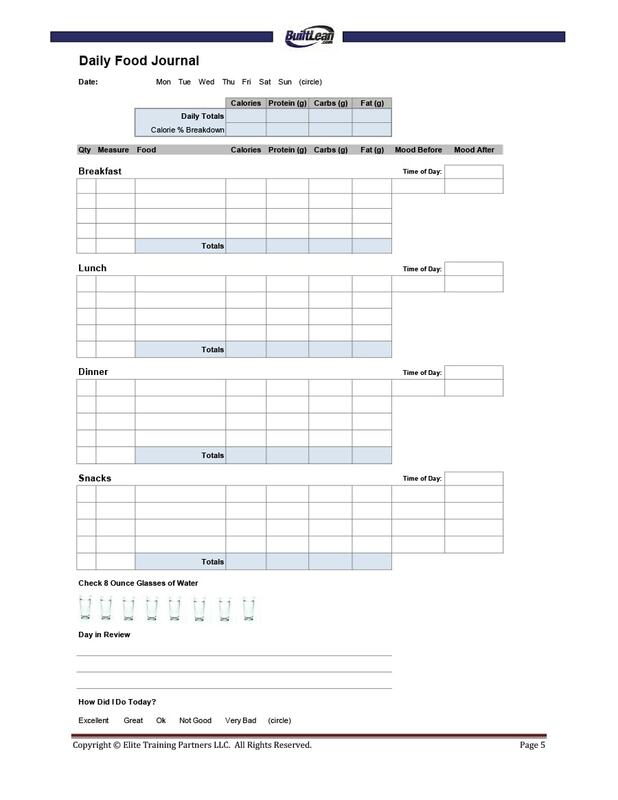 You can track your progress by recording your weight at the beginning and taking note of any and every milestone you have accomplished. It would also be helpful to track down any food expenses so you can also find out how much you spend on food on a regular basis.